Chemotherapy is treatment of cancer with drugs that can destroy cancer cells. These drugs often are called "anticancer" drugs. The underlying principle of chemotherapy is to kill the cancer cells by treating with chemicals that interfere with the process of cell division, thus stopping them from growing or multiplying. Control – If cure is not possible, chemotherapy aims to control the growth and spread of cancer. Palliation – If cure and control are not possible, chemotherapy is given to relieve symptoms caused by the cancer. Chemotherapy is used to treat different types of cancer. The type, location, and stage of the cancer as well as your general health will largely determine if chemotherapy is appropriate and which agents ought to be used. 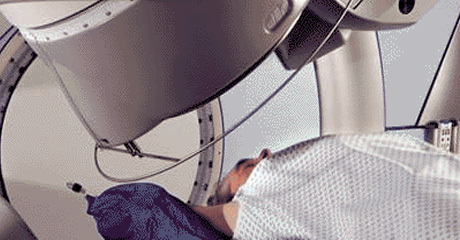 At Chennai Cancer Care, we provide Linear Accelerator based Radiation Therapy. Modern & Special Targeted treatments like IMRT [Intensity Modulated Radiation Therapy], IGRT [Image Guided Radiation Therapy]. These special Targeted treatments use precisely targeted high-energy rays to kill cancer cells. Radiotherapy is usually required for the following reasons: As a stand-alone treatment to cure cancer. To shrink a cancer before surgery. To reduce the risk of a cancer coming back after surgery. To complement chemotherapy. To control symptoms and improve quality of life if a cancer is too advanced to cure.